I have listed a new property at 3 8598 RIVER DISTRICT CROSSING in Vancouver. BEST TOWNHOME IN EAST VAN FOR UNDER $1.2 mil...Vancouver's last waterfront neighbourhood. This stunning brand new townhouse offering most efficient floor plans and modern contemporary design. Close to 1600 sq ft, 3 bedrooms, 2.5 baths with open concept main floor living, dining, large working kitchen with top of the line appliances and cabinets. Radiant floor heating. Huge private patio connected to roof top garden which expand your living space outdoor. Direct access to securely gated side by side parking garage, 2 storage lockers, perfect for family living. The 14,000+ sq ft club central conveniently located within TC2 features a gym, private pool & squash courts. 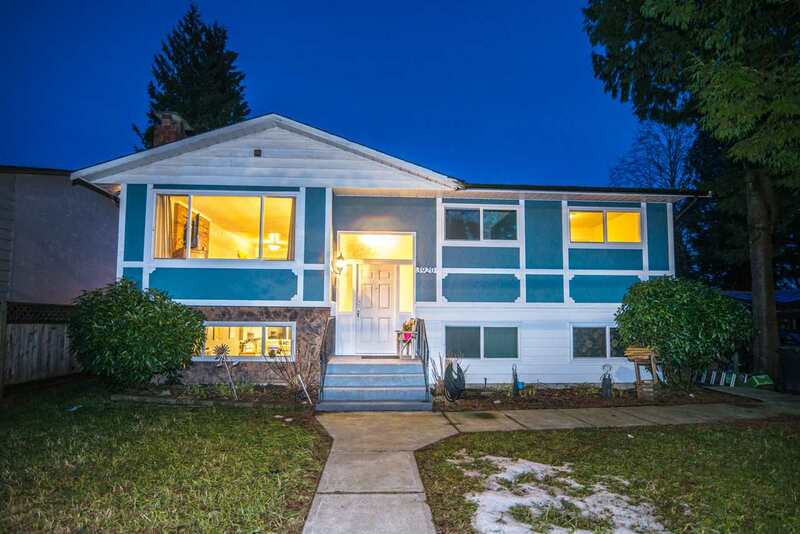 minutes to the Cambie & Marine Drive skytrains & Metrotown. Open house Sat. April 6th and Sunday April 7th, 2-4 pm. Please visit our Open House at 3 8598 RIVER DISTRICT CROSSING in Vancouver. Please visit our Open House at 3337 FLAGSTAFF PL in Vancouver. OPEN HOUSE THURSDAY MARCH 28th 5 - 7 PM! Best value in Complex! This well maintained 3 bedroom, 3 level 2.5 bathroom townhouse is perfect for the growing family. Spacious living room/dining room on the main floor has large south facing picture window overlooking Everett Crowley Park! Laminate floors throughout the main floor this bright Living room has bay window, wood burning fireplace & access to private south facing balcony. Kitchen is open with updated cabinets & counters plus an adjacent eating area with room for a large table. 3 good sized bedrooms up includes huge master with 4 piece ensuite bath. Downstairs you will find a large rec room, 2 piece bathroom/laundry combo and sliding door access to private south facing yard. Access to the single garage and additional storage are on basement level as well. Centrally located with schools, parks and services surrounding. Shows Great! Best value in Complex! This well maintained 3 bedroom, 3 level 2.5 bathroom townhouse is perfect for the growing family. Spacious living room/dining room on main with large picture window overlooking Everett Crowley Park, has wood burning fireplace and access to private balcony. Kitchen is open with updated cabinets and appliances are all in great shape with an eating area/family room off kitchen. 3 good sized bedrooms up includes huge master with 4 piece ensuite bath. Down you will find a large rec room, 2 piece bathroom/laundry combo and sliding door access to private yard. Access to garage and additional storage on basement level. Centrally located with schools, parks and services surrounding. Shows Great!! OPEN HOUSE SATURDAY MARCH 23rd 2-4 PM! Beautiful 2 Bedroom + Loft (Could be 3rd Bedroom) 2 Bathroom Apartment in the lovely family oriented Champlain Heights. Like to Entertain? This Unit feels like a Townhouse with 2 floors and boasts 545 Sq Ft of outdoor living space with 2 LARGE decks, unique in this complex! This home offers a desirable floorplan with 2 big carpeted bedrooms on the main floor & a Loft Style space upstairs. Brand new grey laminate floors & new baseboards recently installed throughout the main living areas. Open kitchen features plenty of white cabinets, lots of counter space & overlooks the living/dining rooms perfect for social gatherings. 2nd Deck for sitting or barbecuing is off the Dining Room. Lovely master suite fits king size furniture with a walk through his & hers closets & 2 piece ensuite bath. Huge Rooftop Deck off the loft is PERFECT for Gardening! Rentals Allowed in the Complex! OPEN HOUSE SUNDAY MARCH 24th 2-4 PM! OPEN HOUSE SUNDAY MAY 17th 2 - 4 PM! Best value in Complex! This well maintained 3 bedroom, 3 level 2.5 bathroom townhouse is perfect for the growing family. Spacious living room/dining room on main with large picture window overlooking Everett Crowley Park, has wood burning fireplace and access to private balcony. Kitchen is open with updated cabinets and appliances are all in great shape with an eating area/family room off kitchen. 3 good sized bedrooms up includes huge master with 4 piece ensuite bath. Down you will find a large rec room, 2 piece bathroom/laundry combo and sliding door access to private yard. Access to garage and additional storage on basement level. Centrally located with schools, parks and services surrounding. Shows Great!! OPEN HOUSE SUNDAY MAR 10 11:30 TO 1 PM Best value in Complex! This well maintained 3 bedroom, 3 level 2.5 bathroom townhouse is perfect for the growing family. Spacious living room/dining room on main with large picture window overlooking Evelyn Crowley Park, has wood burning fireplace and access to private balcony. Kitchen is open with updated cabinets and appliances are all in great shape with an eating area/family room off kitchen. 3 good sized bedrooms up includes huge master with 4 piece ensuite bath. Down you will find a large rec room, 2 piece bathroom/laundry combo and sliding door access to private yard. Access to garage and additional storage on basement level. Centrally located with schools, parks and services surrounding. Shows Great!! I have listed a new property at 3337 FLAGSTAFF PL in Vancouver. Best value in Complex! This well maintained 3 bedroom, 3 level 2.5 bathroom townhouse is perfect for the growing family. Spacious living room/dining room on main with large picture window overlooking Evelyn Crowley Park, has wood burning fireplace and access to private balcony. Kitchen is open with updated cabinets and appliances are all in great shape with an eating area/family room off kitchen. 3 good sized bedrooms up includes huge master with 4 piece ensuite bath. Down you will find a large rec room, 2 piece bathroom/laundry combo and sliding door access to private yard. Access to garage and additional storage on basement level. Centrally located with schools, parks and services surrounding. Shows Great!! OPEN HOUSE SAT FEB 2ND, 3-5 PM. Beautiful 2 Bedroom + Loft (Could be 3rd Bedroom) 2 Bathroom Apartment in the lovely family oriented Champlain Heights. Like to Entertain? This Unit feels like a Townhouse with 2 floors and boasts 545 Sq Ft of outdoor living space with 2 LARGE decks, unique in this complex! This home offers a desirable floorplan with 2 big carpeted bedrooms on the main floor & a Loft Style space upstairs. Brand new grey laminate floors & new baseboards recently installed throughout the main living areas. Open kitchen features plenty of white cabinets, lots of counter space & overlooks the living/dining rooms perfect for social gatherings. 2nd Deck for sitting or barbecuing is off the Dining Room. Lovely master suite fits king size furniture with a walk through his & hers closets & 2 piece ensuite bath. Huge Rooftop Deck off the loft is PERFECT for Gardening! OPEN HOUSE FEB 2ND, 3-5 PM. Beautiful 2 Bedroom + Loft (Could be 3rd Bedroom) 2 Bathroom Apartment in the lovely family oriented Champlain Heights. Like to Entertain? This Unit feels like a Townhouse with 2 floors and boasts 545 Sq Ft of outdoor living space with 2 LARGE decks, unique in this complex! This home offers a desirable floorplan with 2 big carpeted bedrooms on the main floor & a Loft Style space upstairs. Brand new grey laminate floors & new baseboards recently installed throughout the main living areas. Open kitchen features plenty of white cabinets, lots of counter space & overlooks the living/dining rooms perfect for social gatherings. 2nd Deck for sitting or barbecuing is off the Dining Room. Lovely master suite fits king size furniture with a walk through his & hers closets & 2 piece ensuite bath. Huge Rooftop Deck off the loft is PERFECT for Gardening! Beautiful 2 Bedroom + Loft (Could be 3rd Bedroom) 2 Bathroom Apartment in the lovely family oriented Champlain Heights. Like to Entertain? This Unit feels like a Townhouse with 2 floors and boasts 545 Sq Ft of outdoor living space with 2 LARGE decks, unique in this complex! This home offers a desirable floorplan with 2 big carpeted bedrooms on the main floor & a Loft Style space upstairs. Brand new grey laminate floors & new baseboards recently installed throughout the main living areas. Open kitchen features plenty of white cabinets, lots of counter space & overlooks the living/dining rooms perfect for social gatherings. 2nd Deck for sitting or barbecuing is off the Dining Room. Lovely master suite fits king size furniture with a walk through his & hers closets & 2 piece ensuite bath. Huge Rooftop Deck off the loft is PERFECT for Gardening! OPEN HOUSE THURSDAY JANUARY 24th 5-7 PM! I have listed a new property at 369 8025 CHAMPLAIN CRES in Vancouver. Beautiful 2 Bedroom + Loft (Could be 3rd Bedroom) 2 Bathroom Townhouse in the lovely family oriented Champlain Heights. Like to Entertain? This 2 level Townhouse boasts 545 Sq Ft of outdoor living space with 2 LARGE decks, unique in this complex! This home offers a desirable floorplan with 2 big carpeted bedrooms on the main floor & a Loft Style space upstairs. Brand new grey laminate floors & new baseboards recently installed throughout the main living areas. Open kitchen features plenty of white cabinets, lots of counter space & overlooks the living/dining rooms perfect for social gatherings. 2nd Deck for sitting or barbecuing is off the Dining Room. Lovely master suite fits king size furniture with a walk through his & hers closets & 2 piece ensuite bath. Huge Rooftop Deck off the loft is PERFECT for Gardening! OPEN HOUSE SATURDAY JANUARY 19th 12-2 PM! I have sold a property at 313 3133 RIVERWALK AVE in Vancouver. Live like you're on vacation in Vancouver's newest waterfront community. Polygon's "NEW WATER" is a gem. Cook in your gourmet kitchen, luxuriate in one of the spa-inspired bathrooms or have a beverage on the south facing deck. Bedrooms are on opposite sides of the living room for privacy. This fabulous complex has a fitness studio and party room. Partake in the community garden. You're just a minute walk to the riverfront and pier, and close to Fraserview Golf Course and Metrotown. Easy access to Richmond and Burnaby. Showings Wed., Thurs. and Saturdays. Call for times. Please visit our Open House at 313 3133 RIVERWALK AVE in Vancouver. I have listed a new property at 313 3133 RIVERWALK AVE in Vancouver.